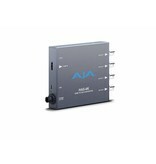 AJA’s HA5-4K Mini-Converter provides high-quality conversion of HDMI to 4K SDI with 4 x 3G SDI outputs. 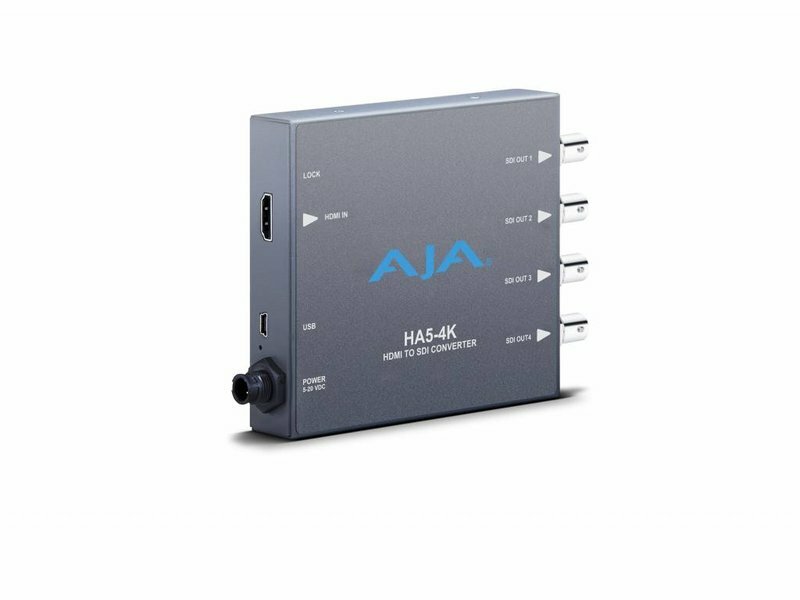 HA5-4K allows conversion of HDMI video from DSLR’s, mirrorless cameras, action cameras, or prosumer 4K video cameras to 4K SDI for use in professional workflows. HA5-4K supports conversion of full resolution 4K (4096x2160) as well as UltraHD (3840x2160) from HDMI to 3G-SDI at frame rates up to 50/60 fps, providing a great solution for cinematic 4K productions as well as UHD projects. Not every job is a 4K job. When you're not working in 4K, HA5-4K can still be a useful tool for converting HD-HDMI to HD-SDI. 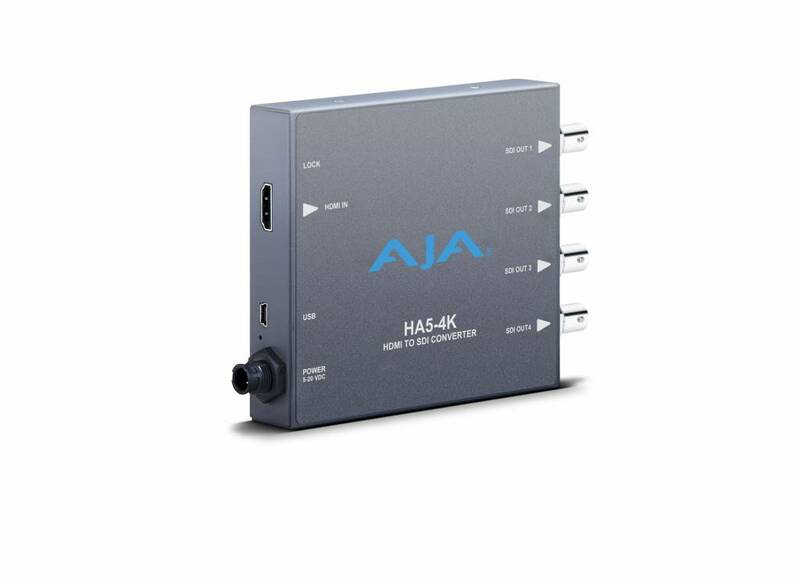 HA5-4K will automatically sense an incoming HD resolution HDMI signal and convert this to a single 3G-SDI output, much like AJA's HA5-Plus Mini-Converter.